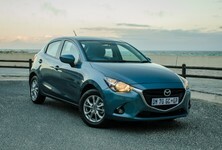 The segment in which the Mazda2 does battle is easily one of the most hotly contested in South Africa. Mazda will surely have taken a long hard look at the strong competition in the form of the venerable VW Polo, Ford Fiesta, Kia Rio, Hyundai i20, Opel Corsa, Suzuki Swift, Renault Clio, Peugeot 208 and Toyota Yaris – a long list indeed and I’ve probably not named them all. 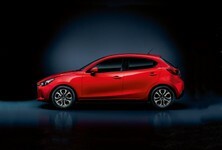 And even so, the Mazda2 is an exceptionally strong offering. 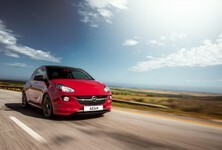 Building on the title of 2014 Japanese Car of the Year, Mazda South Africa has specced a line-up that starts at R188 000. But for just R11 000 more, the Dynamic model comes fully loaded with just about every feature you could hope for in a small car. The touchscreen infotainment system is top notch and overall the interior feels modern and upmarket, except for the aircon controls which, seem to have been borrowed from an old bakkie. However if you want leather seats and park distance control, you can’t have either. Even if you want to pay extra. 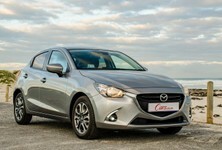 The Mazda2 is very different in one way however – it uses an engine that doesn’t have a turbo. Yes, this is a small car which is naturally aspirated, and while it may not offer the headline fuel efficiency figures of its rivals, in reality it is a pleasure to drive and averages much the same real world fuel consumption figures. It’s also arguable that an engine that isn’t force fed will last longer and suffer less complications than a small, turbocharged powerplant. While data to back up this assumption is hard to come by, a naturally aspirated engine simply has less “stuff” to break. 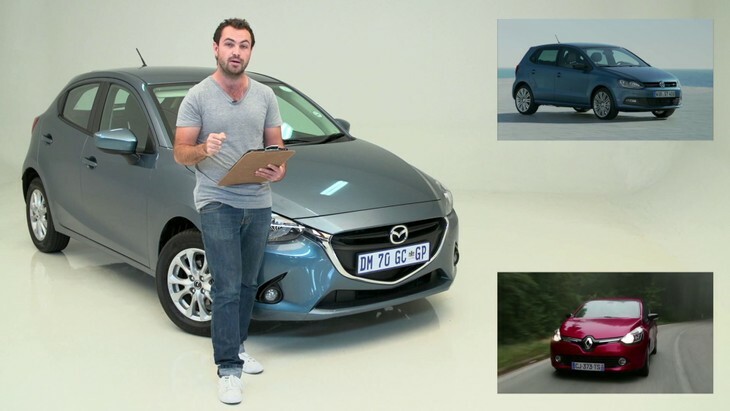 In this video, we’ve taken an in depth look at the Mazda2 Dynamic model, and compared it to two of its rivals, the Renault Clio Dynamique and the Volkswagen Polo 1.2TSI Comfortline. Both these cars were chosen as they rival the Mazda as close as possible, spec for spec. 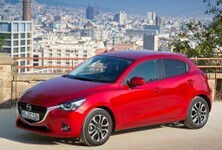 Interested in a new Mazda 2? Interested in a new VW Polo? 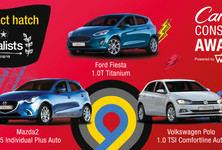 Interested in a new Renault Clio?